(February 3, 2011) The Government of China is using international pressure to reduce carbon emissions as a pretense to build a series of controversial power stations on the pristine Nu River—a UNESCO World Heritage Site—despite opposition from environmentalists and human rights advocates. The Chinese government needed an excuse to build the Nu River dams, and it found one: global warming. First proposed in 2003, the scheme was halted in 2004 after an unprecedented online campaign by concerned Chinese citizens to stop the cascade of 13 proposed dams for the Nu River in south-west China. 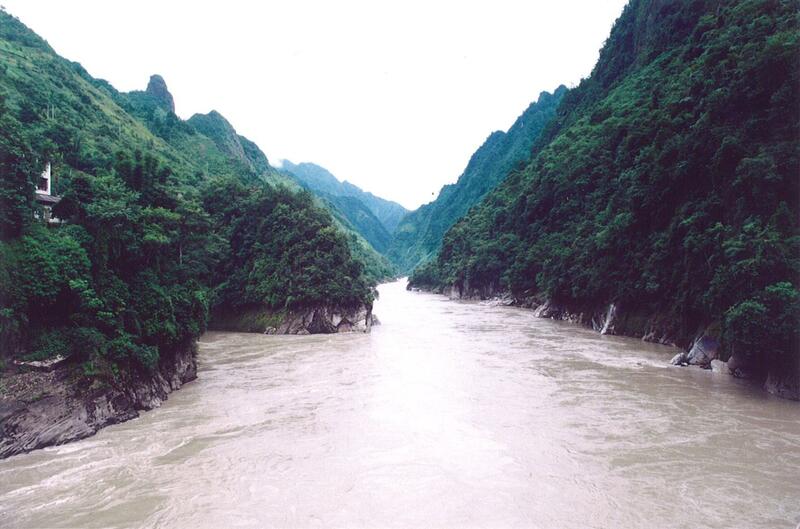 The Nu River is one of China’s last two remaining undammed rivers, and was deemed a UNESCO World Heritage Site in 2003. The Chinese government’s decision to bow to opposition at the time was unprecedented. In justifying the cancellation, Premier Wen Jiabao stated ”We should carefully consider and make a scientific decision about major hydroelectric projects.” The government has now been furnished with its “scientific justification” for the dam – cutting the country’s CO2 emissions. The Nu River hydro project has been revived in the wake of the Chinese Government’s pledge at the Copenhagen Climate Change Conference to cut carbon intensity by 40-45% from 2005 levels. Unsurprisingly, government officials were quick to cite these targets as a justification for restarting the project. A 2010 China Daily article on hydro power lead with a call to arms: “China must start building big hydropower projects soon, or fail the clean energy development targets for 2020, China’s top energy official said, supporting industry calls for fast project approvals.” The official mentioned is Zhang Guobao, head of China’s National Energy Administration. He blamed environmental concerns for grinding dam building approvals to a halt. When addressing these concerns, he bluntly stated that “Every energy source has positive and negative effects and cannot be viewed only from the negative side … and should be weighed in an overall way.” While he was quick to brush off the undisputed scientific concerns about dam construction, he seemed all too willing to accept the need to meet green energy targets as an article of faith. The decision to proceed with the project will no doubt be met with dismay by the brave Chinese environmentalists and journalists who argued back in 2003 that the dams would destroy the habitat of over 3,500 plant species and 8 endangered animal species, force 50,000 people from their traditional homes and threaten water supplies for millions of downstream citizens in Burma and Thailand. Geologists are also concerned that the Nu River dams, being built in one of the country’s most seismically active areas, could trigger earthquakes. The Zipingpu dam in Sichuan is under investigation for having triggered the deadly earthquake of May 2008 that killed 90,000 in a phenomenon known as reservoir induced seismicity (RIS). The fact that the Nu River dams are uneconomic, and that alternative sources of power exist, doesn’t trouble the Chinese government. Ordinary citizens absorb the costs and risks of such projects while the Communist Party’s cronies reap the benefits. The Nu River dams aren’t the only ones being rammed through by the Chinese government under the pretense of protecting the environment. But by riding the wave of concern about global warming, they are the most devishly cynical.